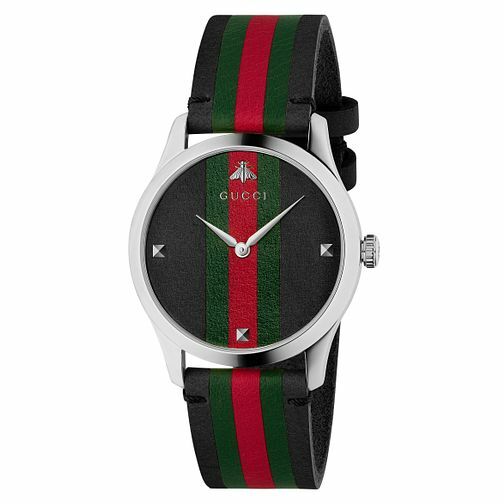 The striped motif of the Italian fashion house is instantly recognisable around the globe, and is beautifully embossed in this chic G-timeless unisex timepiece. This stylish watch features a tan leather strap and stainless steel dial face, embossed with the iconic brand colours. Powered by Ronda quartz movement. The minimal detailing on the dial face gives this watch classic charm, making it perfect for everyday wear.